The organization Philly Phaces visited Beachwood’s 5th grade classes to bring the story of Wonder to life. 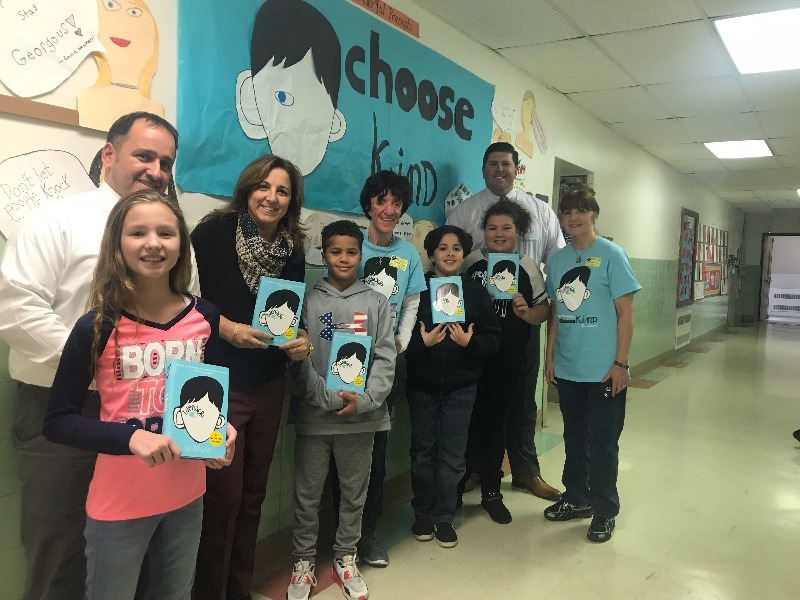 Partnering with the Children’s Hospital of Philadelphia, Philly Phaces coordinates outreach programs to educate children about those living with facial differences similar to the book’s main character Auggie. This worthwhile event promoted empathy, kindness, and acceptance for all. Fifth-grade students at East Dover Elementary School welcomed Ms. Chrissy Clinton, a local Toms River woman with Apert Syndrome, a congenital disorder characterized by malformations of the skull, face, hands, and feet. Ms. Clinton spoke to students and related her struggles growing up to the fictional character Auggie Pullman from the popular book/movie Wonder. Auggie and Ms. Clinton both have Craniofacial Syndrome. When speaking about her experiences, Ms. Clinton reminded students that choosing to be kind is the right thing to do. Fifth grade students at Pine Beach Elementary School had the wonderful opportunity to meet and talk with two women from the myFace organization based in New York City. myFace is a non-profit organization dedicated to transforming the lives of patients with facial disfigurement. Savannah and Dina presented "The Wonder Project," a presentation explaining the condition that affects Auggie Pullman from the book Wonder, as well as many other children and adults worldwide. To learn more about the organization, click below to visit myFace.org.